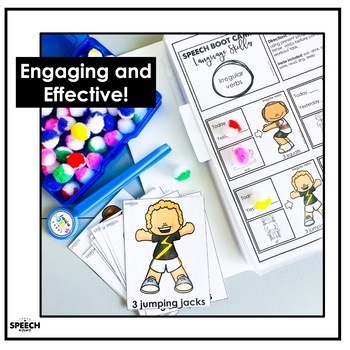 A fun, interactive bundle to target articulation and language skills. 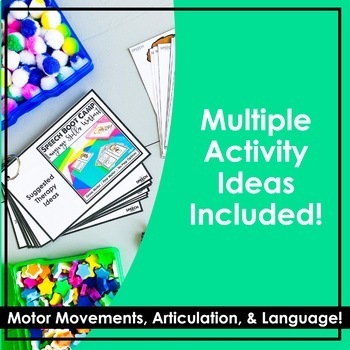 This gross motor activity is perfect to get the end of year wiggles out during your speech therapy sessions! Speech Boot Camp covers 10 language skills and 14 articulation sounds! This is a perfect opportunity to gather comprehensive data while your students still get to have FUN!! This Bundle consists of the Articulation and Language Workou t. If you have either one, they will be the same. 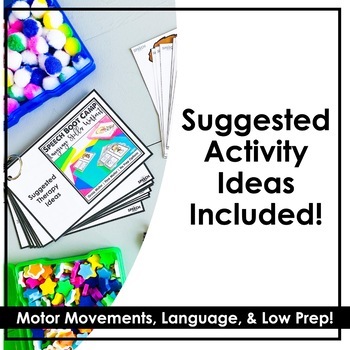 Check out some other FINE MOTOR activities!Check out some other LOW PREP activities! Texas Speech Mom is also your one stop shop for "therapy hacks"! Check out some recent therapy companion hacks! 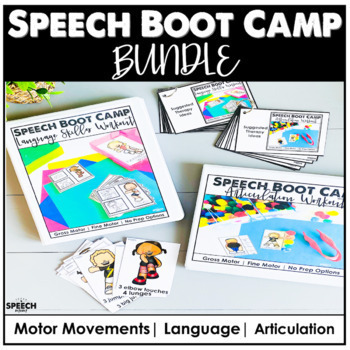 Check out some other low prep/print and go activities in Texas Speech Mom store!